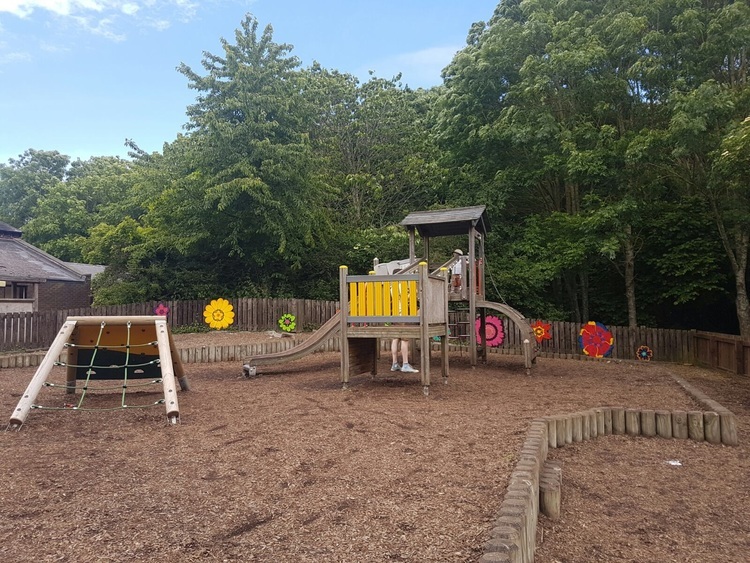 Earlier in the year I saw on Facebook that Plessey Woods, which is located between Bedlington and Cramlington, were having an opening weekend, after they had added some sculptures and activity bits within their country park. I hadn't got around to visiting until this weekend, when the weather was beautiful. The warm sunshine probably helped, but even so it was a lovely place to take the kids for a walk. Our toddler managed to walk lots of it, loved stomping in the puddles and was happy to play along with me when I propped him up on some of the sculptures. I'd like to tell you the distance of the walk we did, and how long it took, but in typical me style the battery on my phone died half way through so I lost the data from the distance app that I was using. If we're doing confessions then I might as well fess up that we took the wrong turning at some point, so we missed at least one sculpture area (Totem Poles) and ended up carrying the double buggy up an exceptionally long and steep flight of stairs. 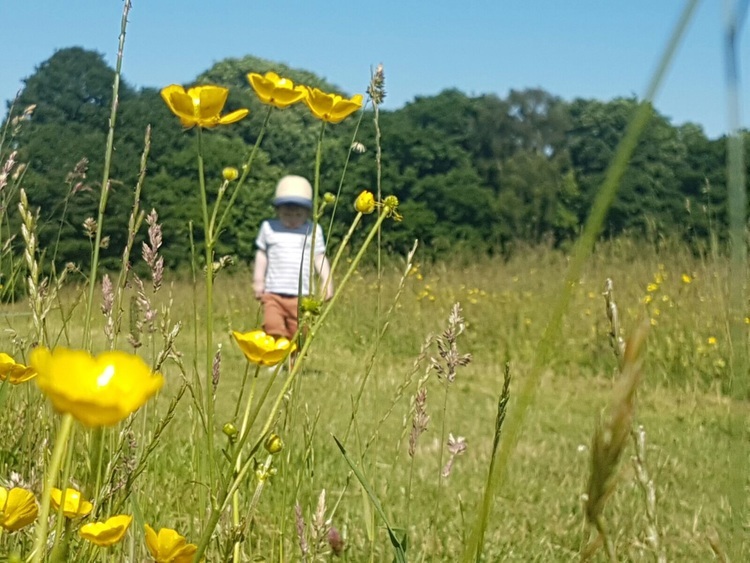 So it's probably best that you look at the pretty pictures, and take no notice of any advice that I might give as I think most people would have done a better job at navigating a buggy friendly walk than we did. 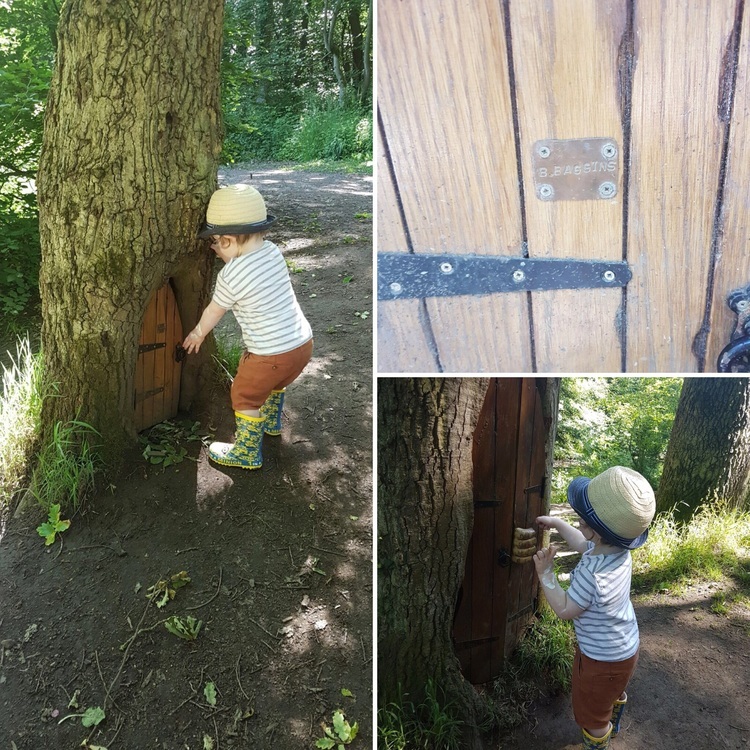 Plessey Woods website tells me that the Art Trail is a mile long, even at our slow toddle it felt like more than that to us, but who knows where we ended up? 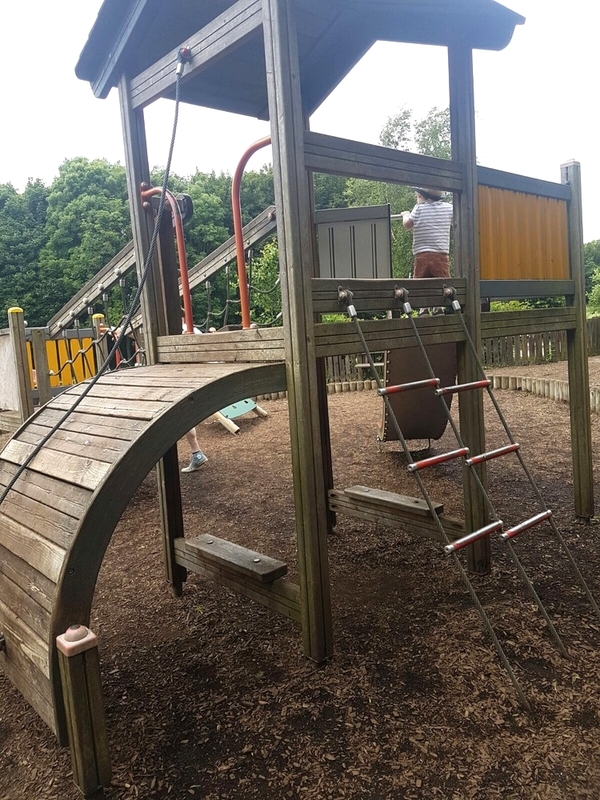 We did start and end from the Plessey Woods Country Park Visitor Centre. I'm slacking at this blogging lark already, as I don't have photos of the car park or the toilets (I know, I know - I'm sure you'll get over that). When we arrived the car park was full. It was a really warm Sunday though, so presumably one of the busiest times but I could imagine that it gets full quite often is the car park wasn't huge. We'd seen that there were pedestrian entrances to the park from the road as we'd driven in, so we left the car park, and parked along the road outside of the car park. This was fine and only took 5 minutes to walk back. At the visitor's centre there was a huge green space where you could play games, picnic benches, toilets, and a small play park. 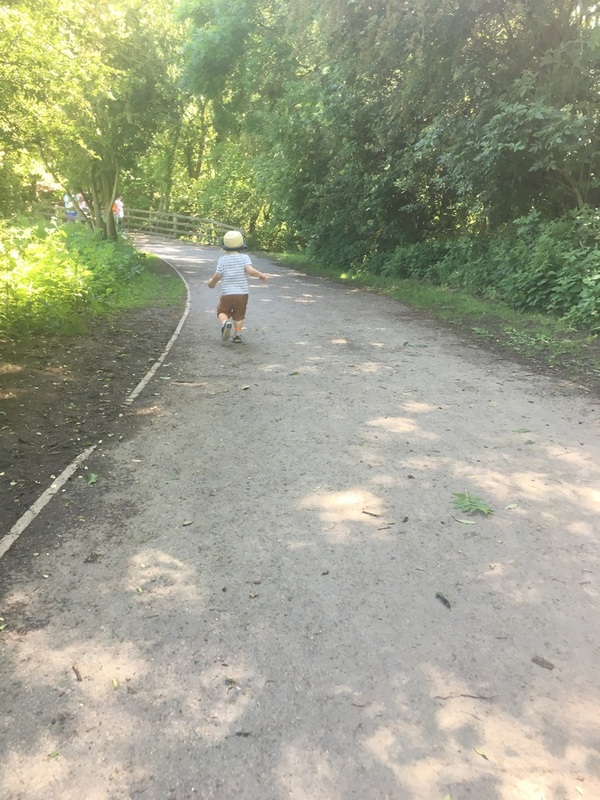 We spotted an ice cream van, and thought we would do the walk first, then get an ice cream and let our toddler play in the park when we were finished. 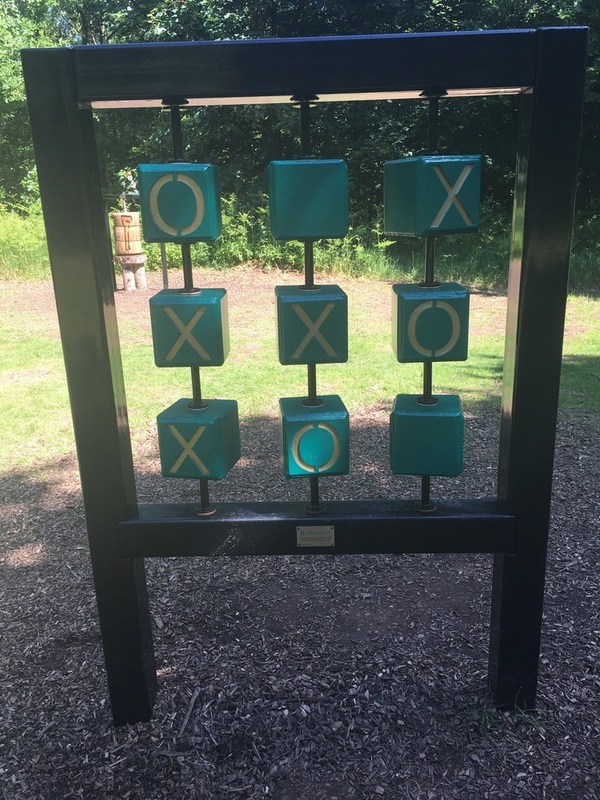 There are a few of the pieces from the Art Trail at this starting and finishing point. We followed the little owl markers which we think pointed the way of the Art Trail, but as we got lost who knows? All of the paths were nice and wide for the buggy, there weren't many steep bits (apart from the aforementioned steps) so our toddler was able to run ahead and explore, just the odd hairy moment when we realised he was a bit too far from us, and probably a bit too close to the stream, but we managed to catch up with him in time. 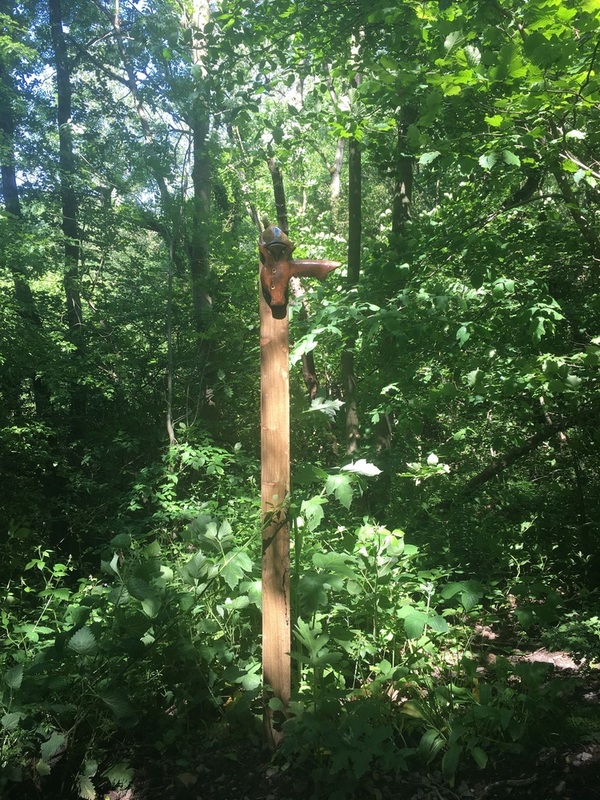 Within the woods we came across some of the sculptures. They were nestled in within the trees and had quite a magical feel to them. I propped our toddler up on the wooden drum set and was a bit dismayed that he was far more interested in his apple! 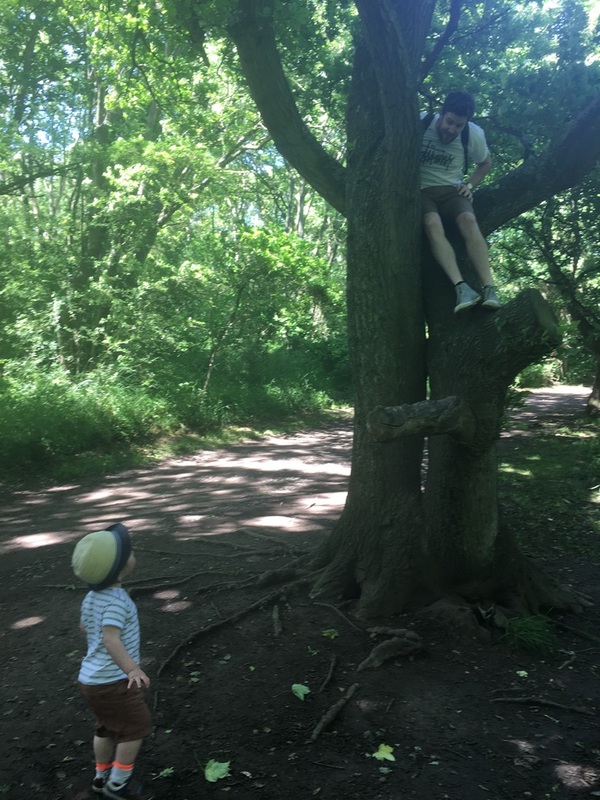 He was a bit more impressed when his daddy climbed the tree through. Next was an ogre house, by a little stream. Further on down the path, I'm not sure if we'd deviated from the Art Trail by this point, was a little clearing with more picnic benches, and some equipment for games. We were now near by the river, where there were a selection of doors in trees in differing sizes. 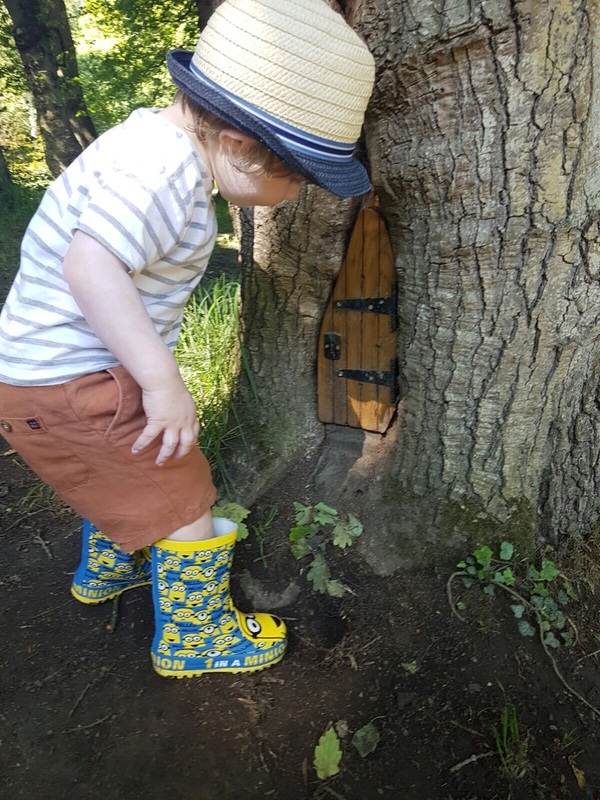 Our toddler was really intrigued by these but a bit frustrated he couldn't actually open the doors and climb into the trees. He did like looking at them though, as well as jumping in the nearby puddles. After this we walked alongside the river until we reached the steps. I don't think this was part of the Art Trail as we didn't see any more sculptures until we reached the visitor centre again. The walk was still lovely though. At the top of the steep steps, once we'd caught our breath again, was a gorgeous meadow. Our friend was with us is a professional photographer. He used my husband's phone (my battery had died by this point) and did us a little impromptu photo shoot in the meadow. 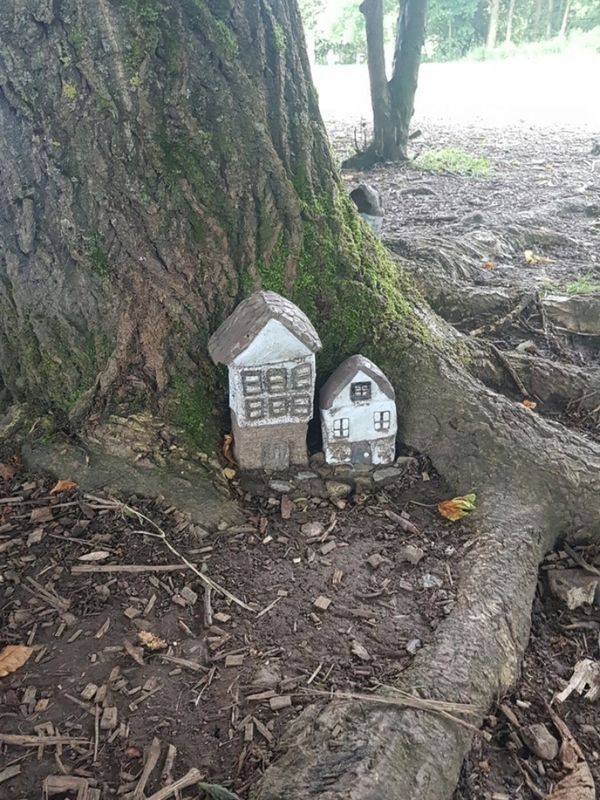 Back at the visitors centre, amongst the trees we found some more of the art trail pieces. 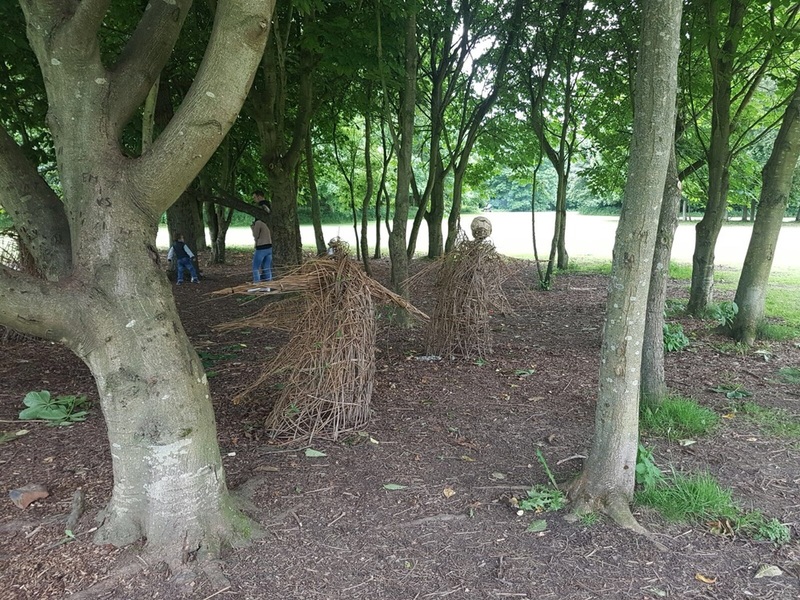 Angels made from sticks, which did have a touch of the Blair Witch project to them, and some cute little houses. With the walk finished we cooled off with an ice cream, from the ice cream van, and let our toddler have a play in the park. After the park we headed home, with a very tired toddler. 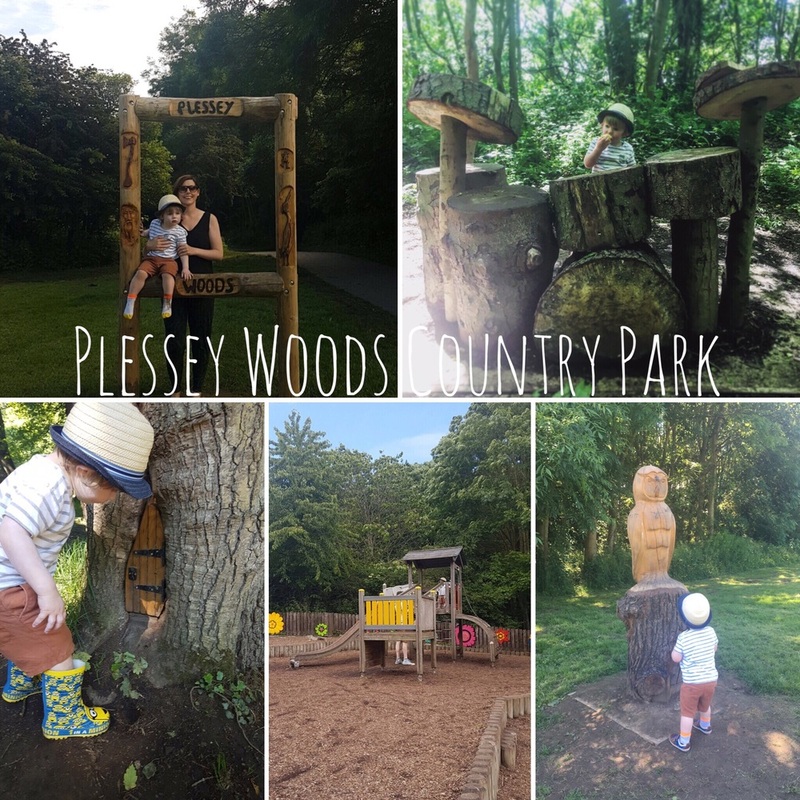 We'd definitely go back to Plessey Wood, the scenery was lovely and it was nice that there were so many things along the way to look at and play with. One thing I did notice was the amount of picnic tables along the walk, it would be a great place to take food and stay for the afternoon. The Northumberland Council website says that BBQs are allowed too. 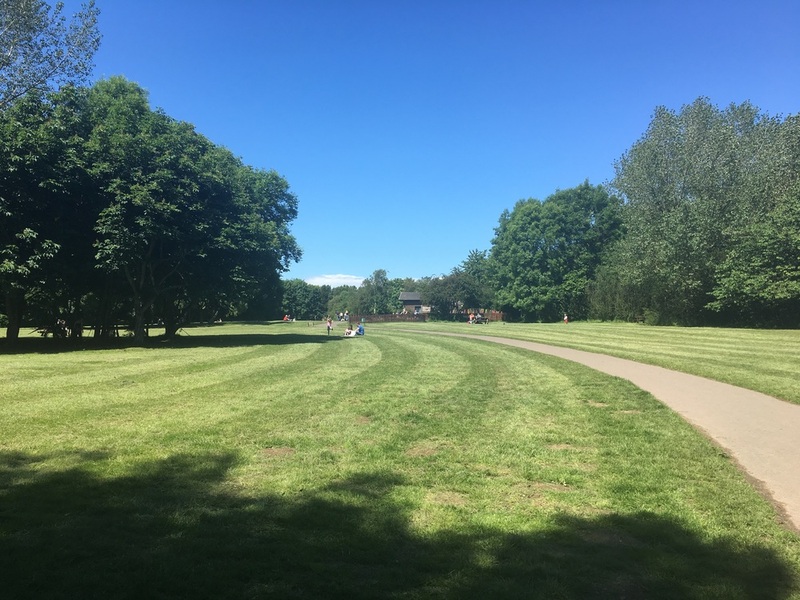 Have you visited Plessey Woods? 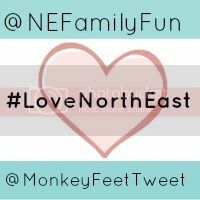 Are there any other walks like this in the North East? Leave us any comments below.